An easy go-to hostess gift during the holiday season is wine, beer, or specialty liquor. Plus, it will probably get consumed at Thanksgiving dinner. 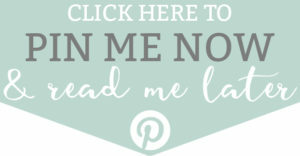 Why not amp your gift up a little with a humorous gift tag. 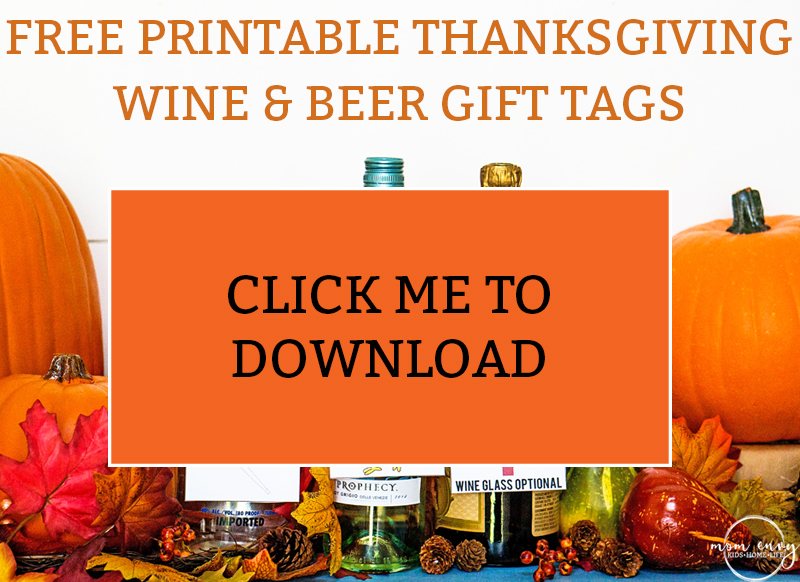 Today I will be sharing three printable Thanksgiving wine gift tags and beer tags with you. 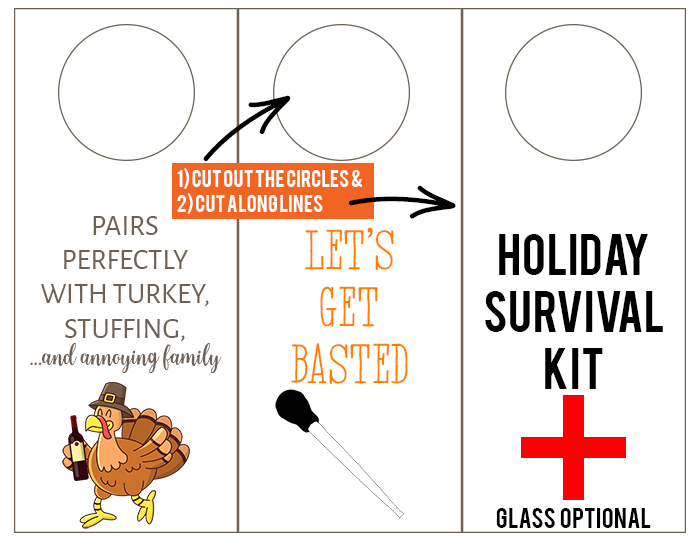 Is your best friend flipping out about throwing her first Thanksgiving for her in-laws? 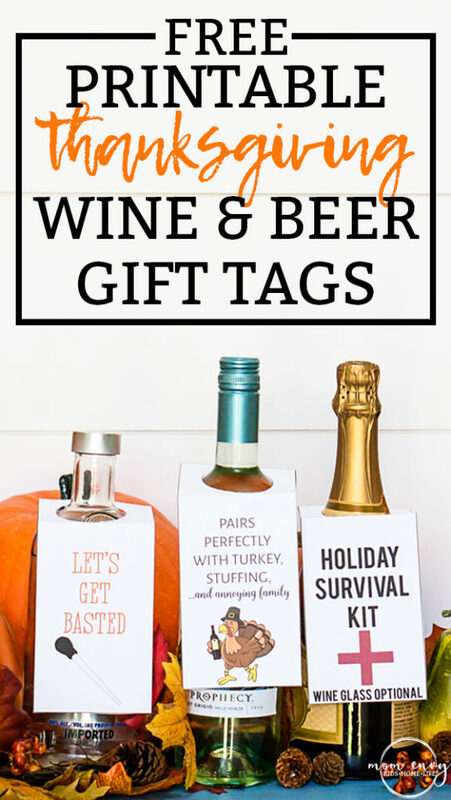 Give her some wine to relax a little – and pair it with the turkey gift tag to give her a good laugh. Are family Thanksgivings stressful? The Holiday Survival Kit bring some wine with the Holiday Survival Kit to break the ice. 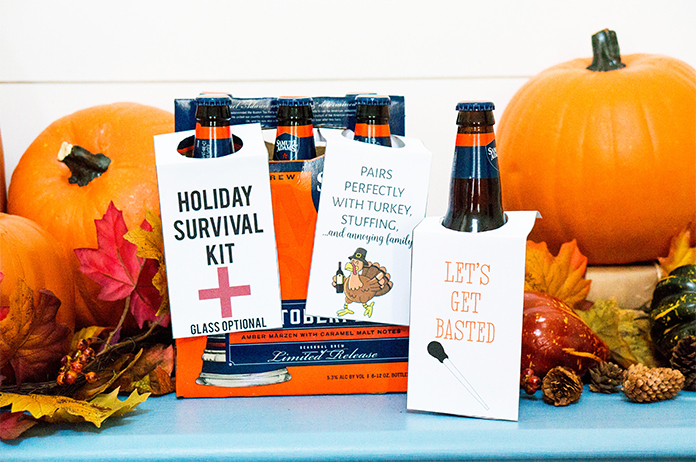 Let’s Get Basted is the perfect topper for liquor, beer, and any other alcoholic drink. 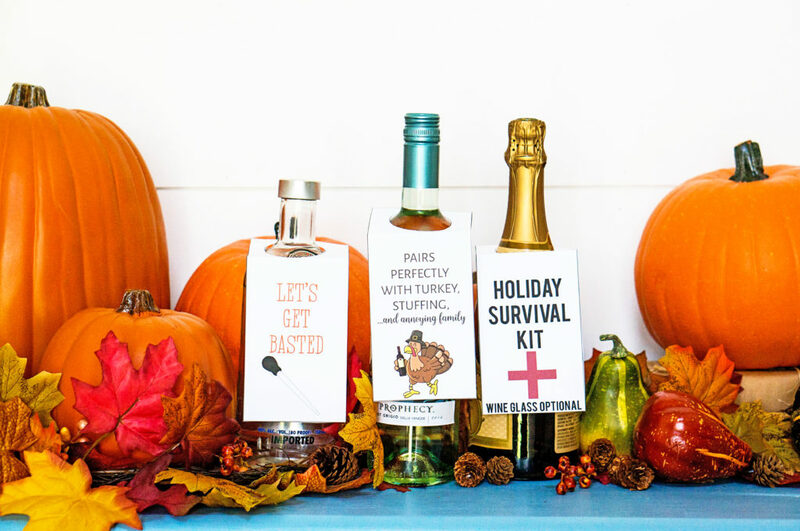 So if you’re looking to add a little something special to your hostess, friend, or neighbor’s gift of spirits this year, try one of these adorable gift tags. 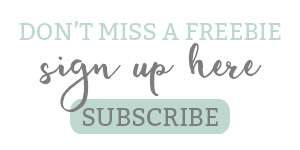 They couldn’t be easier – they’re ready to print, cut, and hang (scroll down below for the directions and files). 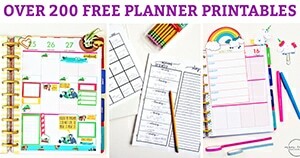 Do you have a favorite hostess gift you give or have received? I’d love to hear about it! 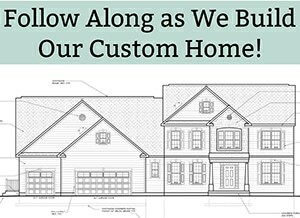 Download the files at the end of the page below the green Download Below arrow. 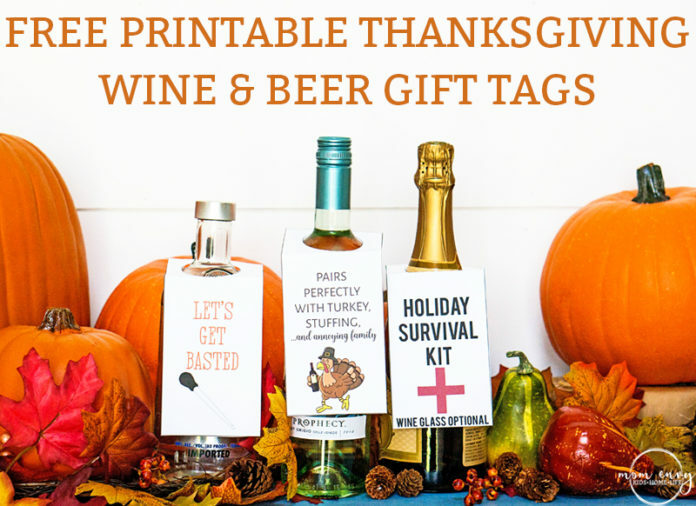 Print the wine size tags or beer size tags on cardstock (you can print on regular paper but it won’t be as sturdy). 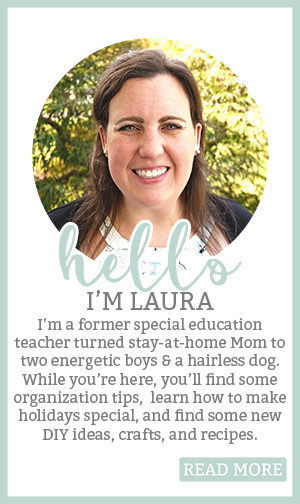 Cut out the circles (either use an exacto knife or fold gently in half, cut a slit with scissors, then open back up, insert scissors, and cut the rest of the way. Cut around each rectangle (each individual gift tag).